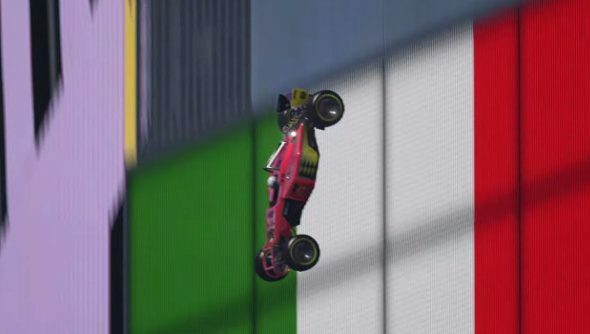 Ubisoft revealed the new Trackmania during their E3 press conference. Trackmania Turbo is headed from PC to consoles, along with all the custom maps that the series is known for. It will be interesting to see whether this can resurrect the racing franchise, which lost a lot of momentum following Trackmania United and Nations. To judge from what they showed, they appear to be back on track. I have to admit, I realized how much I missed Trackmania when they dropped a race car out of a helicopter and sent it plunging 1000ft onto a track. It really was one of the best arcade racers for its day. Hopefully this can get the series back to its glory days of the late 2000s, when everybody was playing it and making levels for it. You know, before the disastrous Shootmania detour. Trackmania is out on November 26.